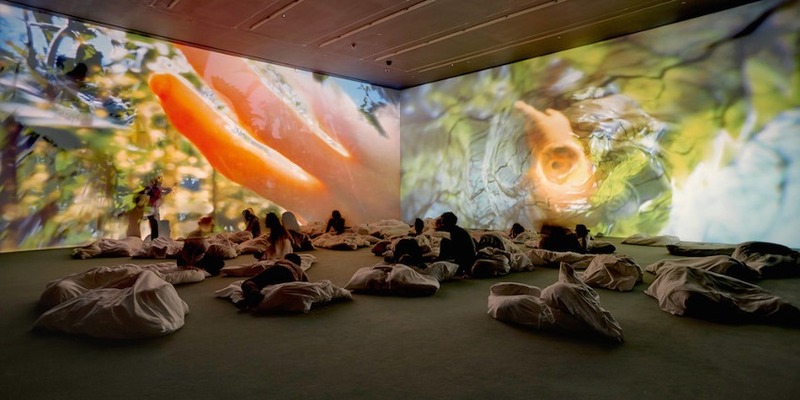 Elisabeth Charlotte Rist, better know as Pipilotti Rist is a Swiss visual artist who works with video, film, and moving images which are often displayed as projections. Since her childhood, she has been nicknamed Pipilotti after the character from the novel Pippi Longstocking, by Astrid Lindgren. She believes that art should encourage the mind, destroys prejudices, and create positive energy. Her work is mostly related to gender, sexuality, and the human body. We can say she is a pioneer of moving-image art. After enrolling in video courses at the Basel School of Design, encouraged by her teacher, Pipilotti submitted to a juried video exhibition, and I’m Not the Girl Who Misses Much was accepted. This video from 1986 shows the artist in a low cut black dress, in an empty white space. She is standing in front of the camera singing at the top of her voice I’m not the Girl Who Misses Much, which are words taken from a John Lennon song Happiness is a Warm Gun. In this video, she celebrates the body and its energy while making a statement about the sexism of MTV. The artist uses the technical possibilities of video by speeding up, slowing down, or distorting the image. 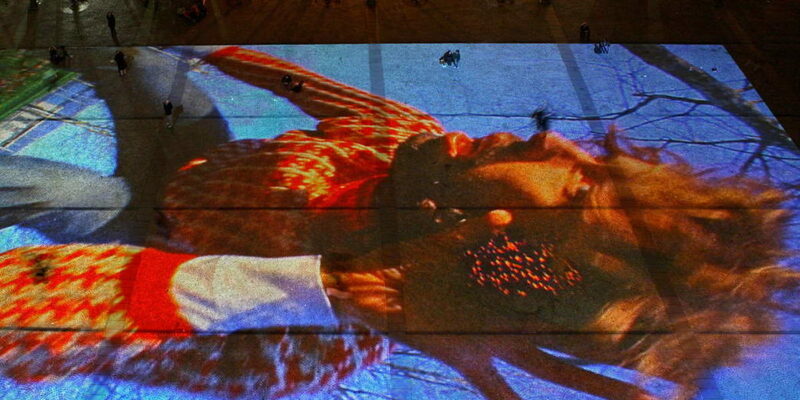 In 1997, she created the video Ever is Over All, for the 47th Venice Biennale. It will leave you with ambivalent emotions. On one hand, we see a woman wearing red shoes, like Dorothy in The Wizard of Oz, who smashes the windows of parked cars with a tropical flower. Seeing someone smashing car windows is something that would usually upset you, but on the other hand, soft music in the video and woman’s playful gesture creates a serene feeling in you. This video has been purchased by the Museum of Modern Art, in New York City. It was even an inspiration for Beyonce’s Hold Up video, in 2016. For three months in 2008 and 2009, the atrium of the Museum of Modern Art in New York City was turned into magical space because of Rist solo exhibition- Pour Your Body Out. The idea was to create a womblike zone of comfort by emphasizing on pink, music, 25-foot video installation projections, and specially designed furniture. The video and music are organized in cycles of 10 and 16 minutes so that visitors who stay longer do not see an exact repetition. Once you step into the atrium, you become part of the new, and completely different dimension. The artist imagined this space as a pool with blend of lights and sounds. The camera remains on strawberries, apples, and fields of tulips. Smashed fruits and crushed petals, flower fields of a shot from ground level and projected 25 feet high, which created a sensational feeling. The artist wanted for visitors to feel like a part of this artwork and a part of nature. She wanted them to imagine what would it feel like to be a flower or a fruit. Pipilotti encourages them to sing, be barefoot, stretch out, and roll around while they are sitting on a carpet on the floor or lying on a doughnut-shaped sofa. Pipilotti’s work has been on view in galleries all over the world, such as Luhring Augustine Hauser & Wirth, etc. In 2009 she completed her first feature film called Pepperminta, and won world-famous Joan Miró Prize. 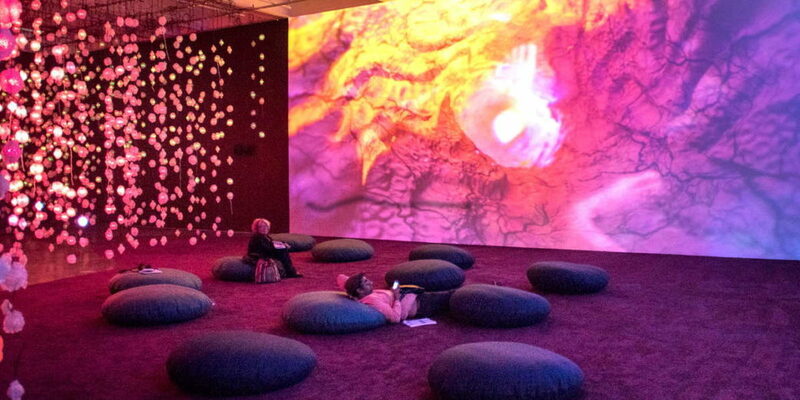 In 2016, the New Museum presented the most comprehensive presentation of her work, which was Pipilotti Rist: Pixel Forest. The exhibition was set on three floors of the Museum, it was organized chronologically from the bottom to the top of the building, by Massimiliano Gioni. It is not unusual for her exhibitions to have big pillows or actual beds on the floor in order to help visitors to relax. Pipilotti currently lives and works in Zurich, Switzerland.